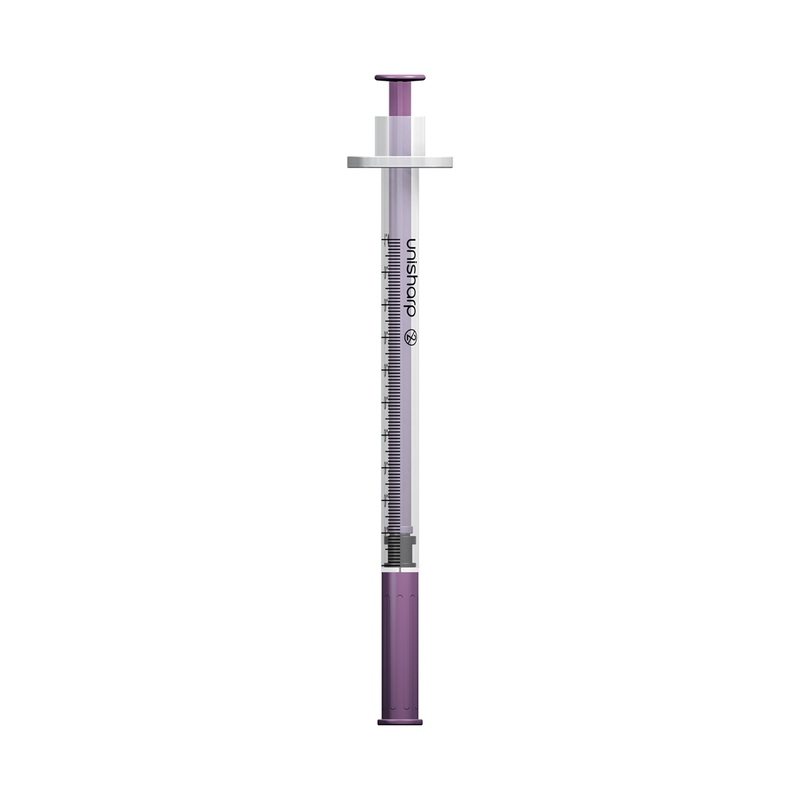 Hormone treatments (such as human growth hormone) under the skin. 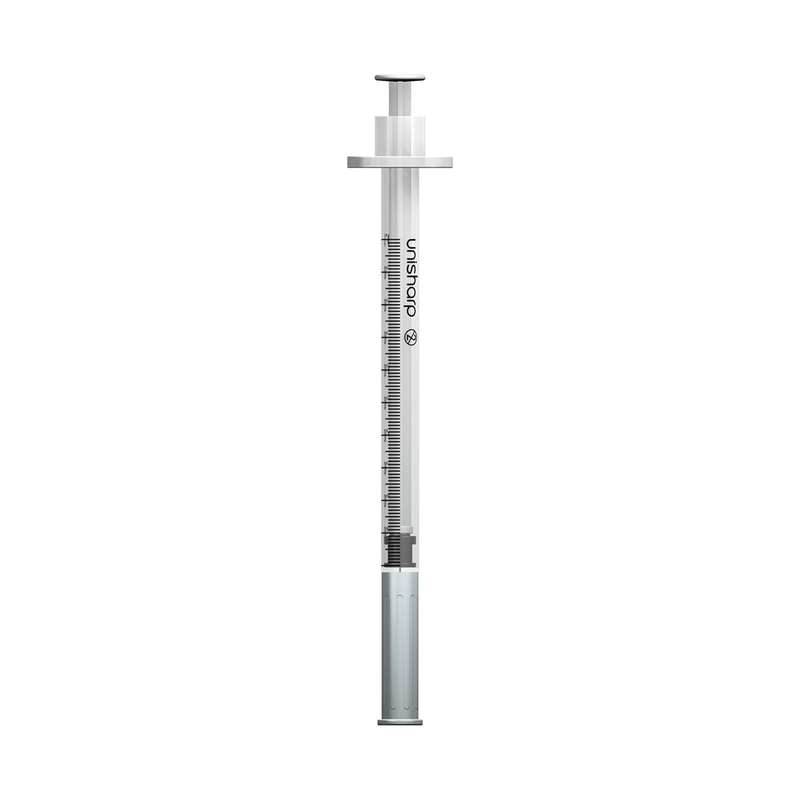 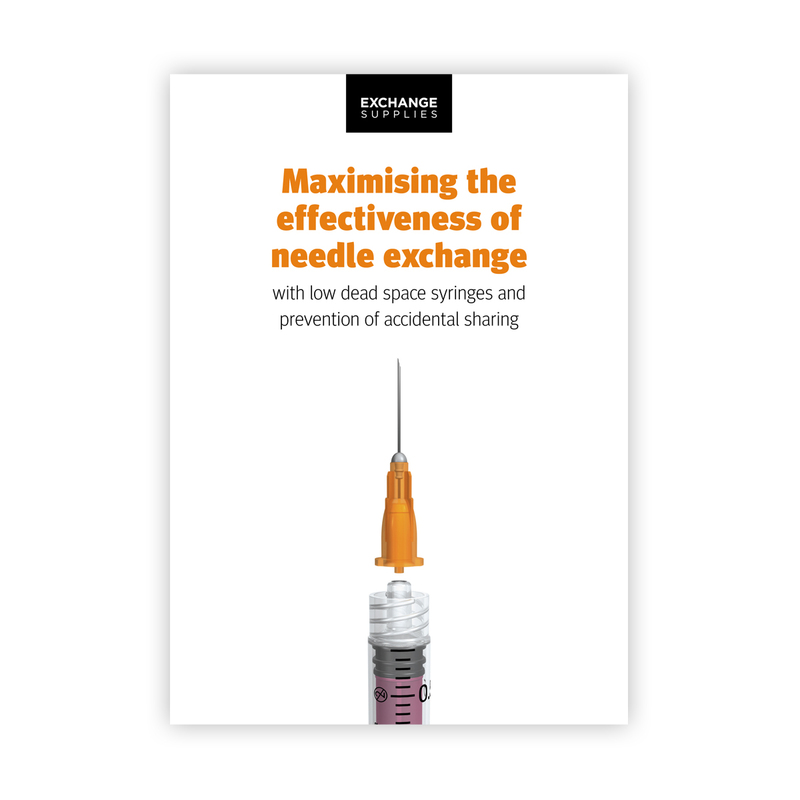 This product is also available with a 29G needle which is slightly thicker and stronger than the 30G needle, and is mainly used for injecting drugs into veins. 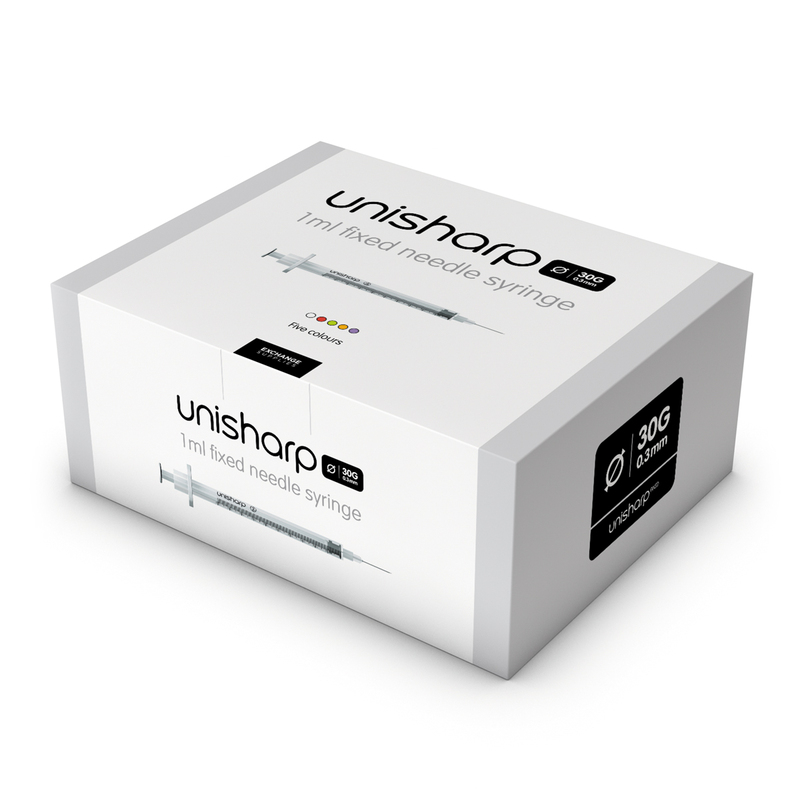 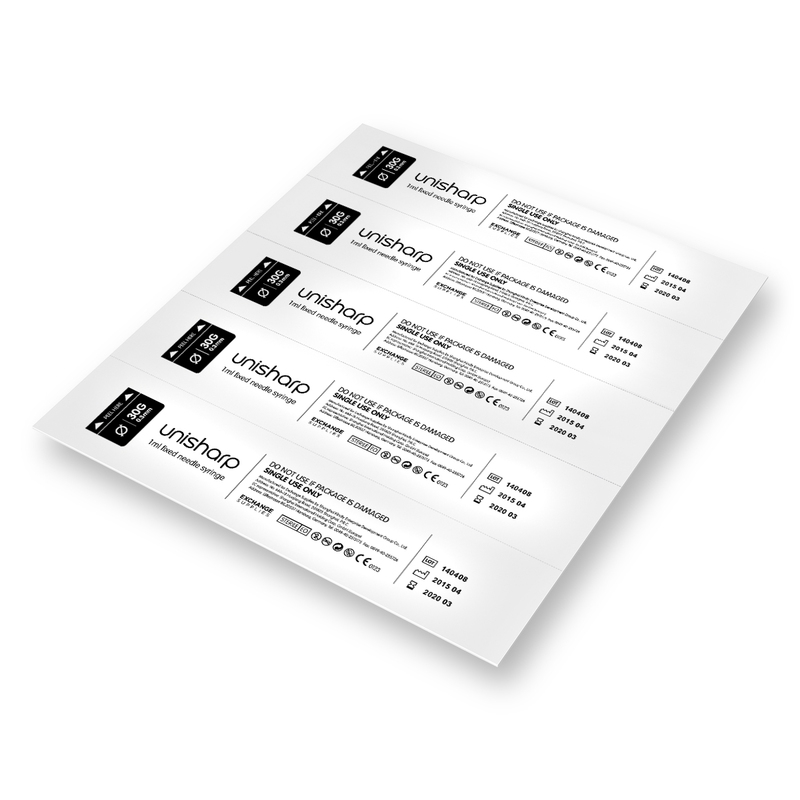 Details of the 29G 1ml Unisharp Fixed are here. 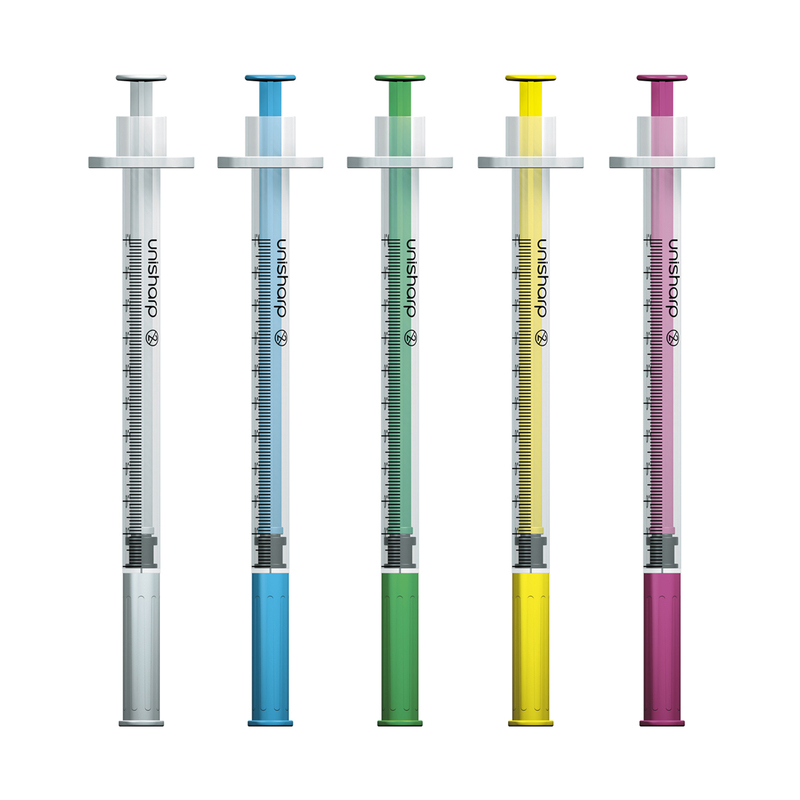 These are low dead space (LDS) syringes. Availability in both 29G and 30G needle sizes. 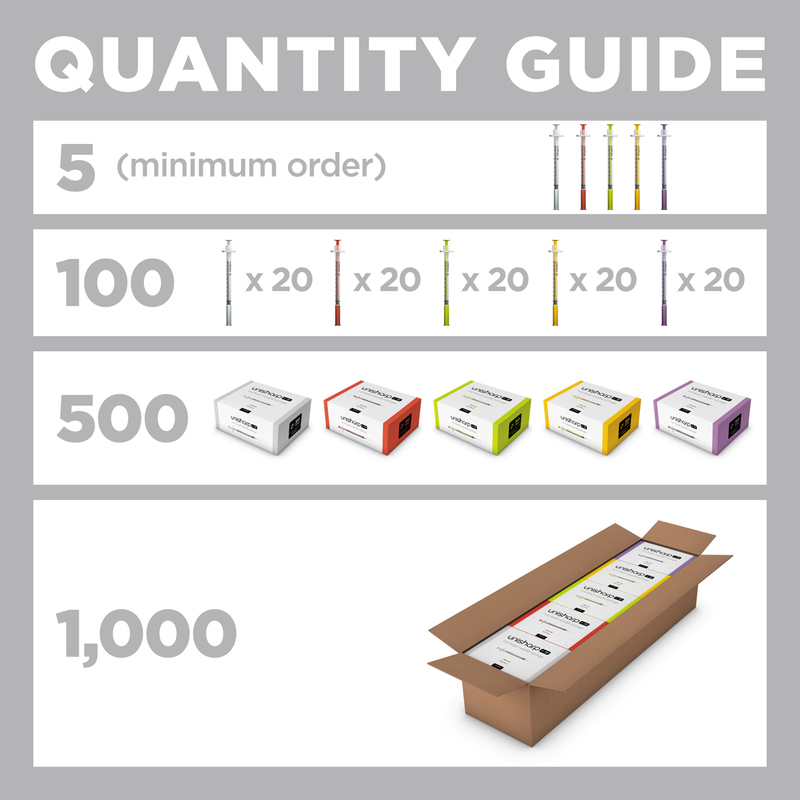 For ease of ordering, we can supply equal quantities of each colour, and that is what we deliver when you order product code UF30M from this page.